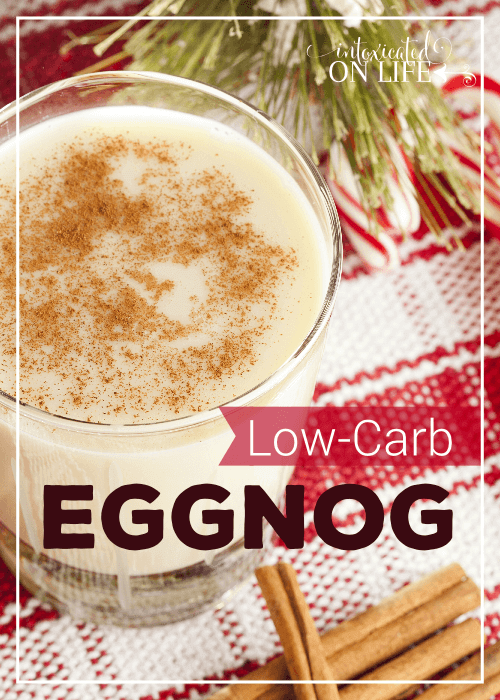 There are some things in life that are just better low-carb, and eggnog is one of them. Ditch the skim milk and go straight for rich, heavy cream. This is a delicious low-carb eggnog. 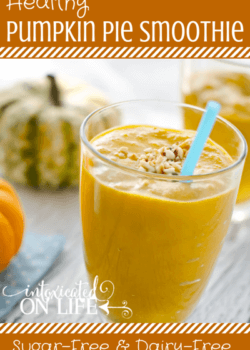 Upon my husband’s first taste he proclaimed, “That’s the best eggnog I’ve ever tasted!” You’ll want to quickly grab these ingredients so you can make them part of the upcoming festivities, and you’re sure to wow your guests with this one too! It can be difficult coming up with recipes during the holiday’s that aren’t filled with sugar, grains, and lots of other junk! I know. I’ve been there. Done that. Got the t-shirt. If you want to take control, be sure to make a plan. Take the time to think through the holiday treats you want to have at your parties. Find some recipes that will fill the void, like this low-carb egg nog recipe. Spend some extra time in the kitchen making goodies for yourself and your family. Your body will thank you for splurging on extra time, and not the extra sugar! Using a mixer, beat egg yolks until they lighten in color. Add the xylitol, stevia, cream, nutmeg, vanilla, cloves, and cinnamon. Beat until well combined. Chill, enjoy, and know that this is what egg nog is supposed to taste like! Keep in mind, if you are adding rum to your eggnog, some rums have added sugars. Be sure to read the label or you will not end up with a sugar-free drink. This recipe calls for raw eggs. Yes, I know some people have a problem with that and are scared of salmonella. If you are one of those people you'll have to find a different recipe (but you'll be missing out!). I would highly recommend using farm fresh eggs for this sweet delicacy. 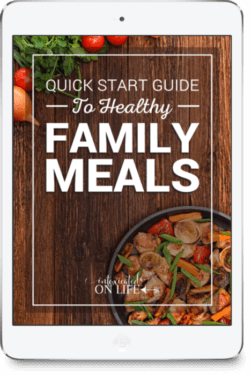 Looking for some more great holiday recipes? 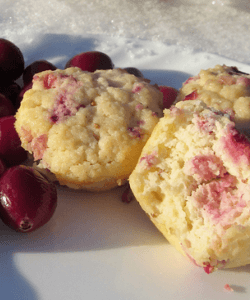 Be sure to check out 25 Days of Grain-Free Christmas Cookies! It includes some classic recipes like gingerbread cut out cookies, shortbread cookies, and pumpkin spice cookies. You’ll also find some fun, new recipes like reindeer bombs and coconut flour alfajores. 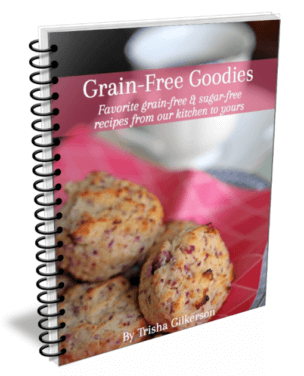 If you are grain-free, or you are looking to cut back on the grains you eat, this cookbook gives you 25 amazing recipes to continue to fill your home with the pleasant traditional tastes and aromas of Christmas. I’d really rather not use Xylitol and Stevia has an aftertaste I don’t care for. Is it possible to use honey or maple syrup? Or would that be really weird? I am a diabetic so I would need to use Xylitol and Stevia, but if you do not suffer with diabetes give honey or an alternative a try. Honey sounds wonderful! I’m becoming a Trim Healthy Mama. I’ve been wondering what to do about eggnog. Thank you for sharing this. I will definitely be trying it very very soon! 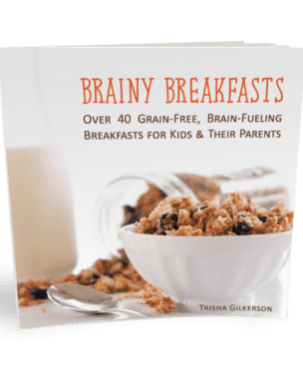 I pinned it on my Trim Healthy Mama and my Christmas Pinterest boards! I can’t wait to try this. My son has to watch his sugar intake due to high insulin levels so I think this would be great for him. I’m curious is xylitol easy to find? I’ve never used it before. I purchase it online, or you can also find it in health food stores. 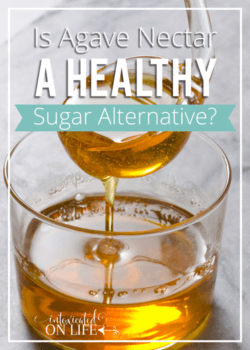 You might want to check out this post I wrote about xylitol. I really like it, but I’d suggest trying out just a little bit because some people (particularly those with unbalanced guts) can have some digestive issues from it. I just made this and it is devine. I used 1 teaspoon of stevia extract instead of the xylitol. When it was done I heated it very carefully over a double boiler with three chai tea bags to make the egg nog chai so often craved in our house this time of year. Thank you so much! What a fun idea, to add chai! Love it. I’m going to have to try that. I plan on making this because it looks so good! I’m a fan of your website. I was just wondering if the vanilla is extract or syrup? If you are concerned with raw eggs, you can buy pasteurized eggs from the store. You can also, coddle your eggs by placing room temperature eggs in boiling water for two minutes, then plunging them in an ice bath. And then follow the recipe with the separated eggs? Regular eggnog recipes always get cooked on the stove. How many servings is this? Only because I’m pretty sure if you left me alone with it, I would drink it all! Love that it doesn’t use almond milk, I made one with that and it tasted mostly like almond milk. I suppose it could be 1 serving or 10 ;). I haven’t figured it up. But I hope you enjoy it! HI! This looks like a great recipe and we are going to try it out. 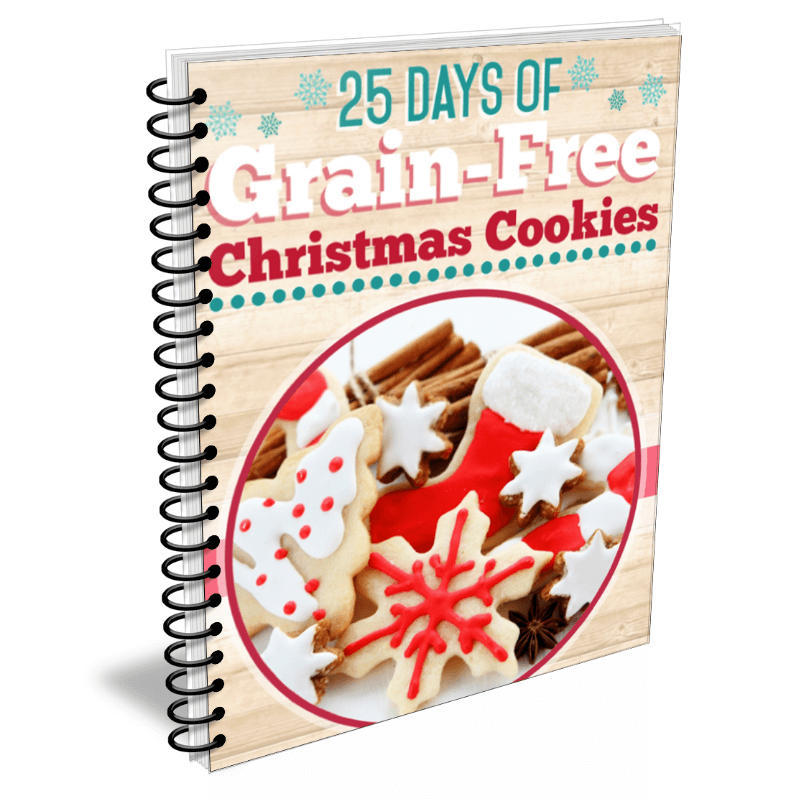 I also see on your site a grain free Christmas cookie book. We cook this way, but I also have grand kids coming for Christmas who have massive food allergies. Do most of your recipes call for almond flour? If so do you have a substitute that you would recommend as my grandson is extremely allergic to almond flour along with wheat. Has anyone subbed almond flour with hazelnut? I know it will not have the same look, but at this point I am after taste and what works best. My daughter has found she can bake with duck eggs and that has enabled her to use more coconut flour as flax eggs and coconut flour don’t mix/work. 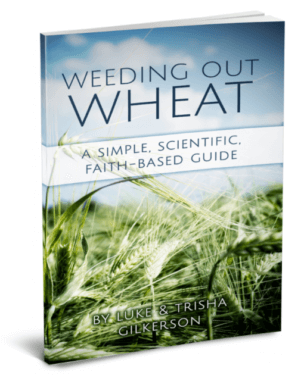 I would be interested to know as it will weigh my decision on if I should purchase your book. Thanks so much! My apologies for taking so long to get back with you! Our family was traveling and I got very behind in responding. Is your grandson able to have other nut or seed flours? Without trying each recipe, my guess would be that you could try out different nut or seed flours – sunflower seed flour, peanut flour, cashew, etc. I just went and checked the book, it looks like there are 7 recipes that are nut free and 13 that are egg free. I’ve heard of people with nut allergies using garbanzo flour. Bob’s Red Mill makes it. Hazelnut flour works great in place of almond flour! I only have whole gloves. Do you mean whole cloves or is there such a thing as ground cloves? There is such a thing as ground cloves! 🙂 Just look in the spices area at your grocery store. One quick easy low fat as well as sugar free eggnog is 4 cups skim milk, one small box sugar free vanilla pudding mix, 1tsp rum flavoring, 1 tsp nutmeg. Really good for last minute guests. Top with a dab of whipped cream and sprinkle of nutmeg. Thanks for the tip! I personally try to avoid skim milk and pudding mixes, but sounds like an interesting option for those looking for a low-fat version. SF pudding isn’t sugar free or low carb unfortunately. Corn starch is the first ingredient. I made this a few weeks loved the flavor, but it was extremely foamy. Any ideas what I may have done wrong? Ijustscrapd it off and drank what was left, but I feel like I wasted a lot. Glad to hear you enjoyed the flavor of it. I typically make it the night or morning before and let it set in the refrigerator at least a few hours. The foamyness typically goes down some. I think because of the beating, there isn’t any way to completely get around the having some froth on top. We typically just pour it in and enjoy (we enjoy our eggnog with a little ginger ale). we have a cat, so the Xylitol isn’t a safe option for our household. I’m assuming Erythritol would be a fine substitute for those of us with pets in the home? Yes, like a number of other foods (chocolate, alcohol, coffee, etc.) xylitol is poisonous to cats. And YES erythritol would be a good substitute. You’ll just want to use a little bit more because it’s not quite as sweet as xylitol. 🙂 Hope that helps! And hope you enjoy the eggnog. How much rum did you add?? I don’t see that very important part mentioned in the recipe ??!! I am allergic to Stevia (tongue swells) is there anything I could use in its place? You can use any type of sweetener that you enjoy. I’d just sweeten to taste using what you typically enjoy! I just made this tonight and it totally hit the spot!!! Looks like an amazing low carb egg nog recipe! Thanks for sharing! Anyone just use Pyure for the sweetener?